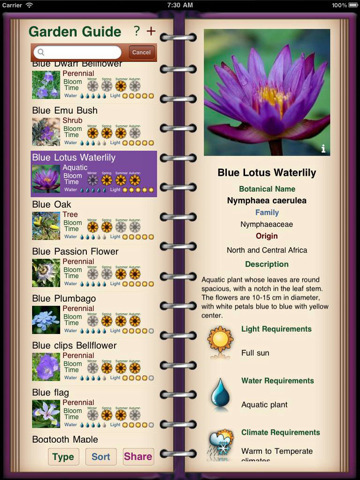 Developer Quote: "The most complete garden reference, now with over 1000 most common species with a complete information (not internet needed) with the most beautiful photos." This lovely reference book has so many details and gorgeous photos of the many plant and flower species. Learn what pests and diseases affect each one. Each page is interactive so that you tap a button to get more extensive information that help you get the complete picture of the species you are researching. COOL CONCLUSION: "The wealth of information found in Garden Guide HD with its beautiful interface will help you grow your garden to its finest potential."